Tarragona is a lovely place to visit, next to the Mediterranean Sea. With lots of ancient remains. Tuesday to Saturday, 10 am to 19hrs 7pm. Sundays from 10 am to 15hrs 3pm. In 259, during the persecutions against the Christian ordere by Emperor Valerian, here were burnt alive the city’s bishop, Fructuous, and his deacons, Augurius and Eulogius. Pre Roman Cyclopean walls foundations, near the Cuartel de Pilatos. 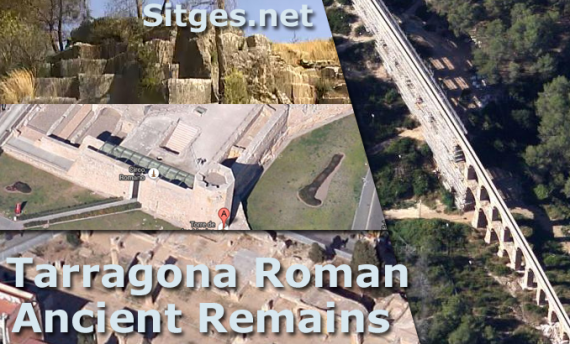 The Roman ruins of Tarraco have been designated a World Heritage Site by UNESCO.